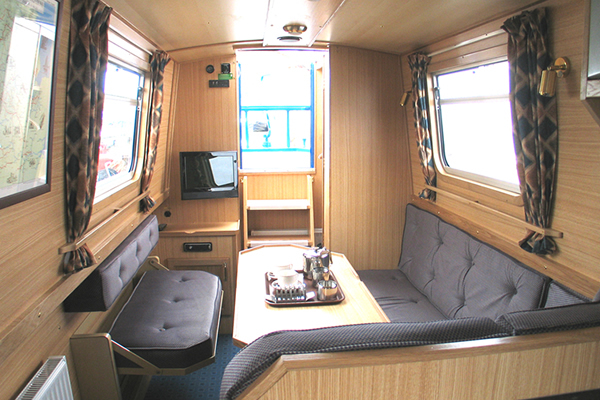 The Stock Dove Canal Boat | Narrowboat Hire Booking. 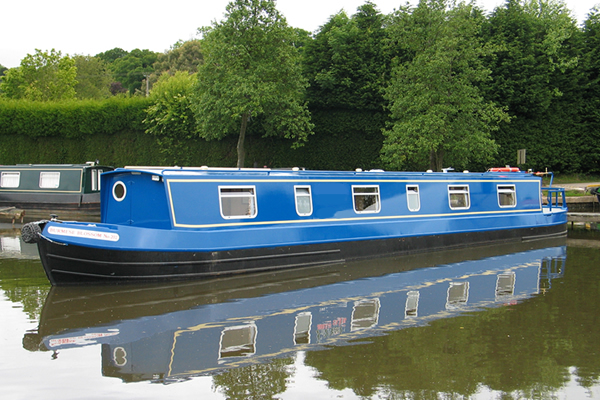 The Dove2 class canal boat is rated 4 Stars and can sleep up to 6 people. 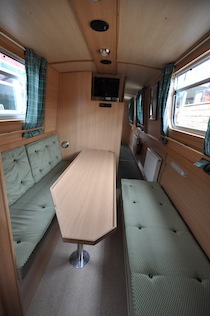 DESIGN: 60ft Cruiser stern narrowboat. Quiet water-cooled diesel engine with simple controls. BEDDING: Wider beds. TV in each cabin. Freshly laundered bedding is supplied for each crew member, as per your requirements. Additional bedding is available upon request. Towels are also supplied - one medium sized towel per crew member, and one hand towel per bathroom. BATHROOM: There are two bathrooms, each with a wash hand basin, electrically operated flush toilet and a shower or hip bath/shower, and a 240v shaver socket. There is also a large mirror in the bathroom, and a bi-fold shower door. Extractor fan.